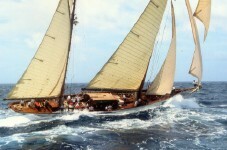 After a flying start in 1937 when she won both her class and the overall prize at the Torbay Coronation Regatta, Thendara continued to race extensively until World War Two. Following her relaunch, from 1994 until the present day, Thendara has been the jewel of the Mediterranean fleets, frequently taking first place amongst serious competition in Antibes, Imperia, Porto Cervo, Monaco, Cannes, St Tropez. 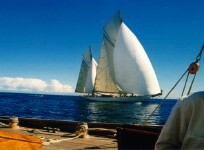 In 1997 she won a prize as one of the only gaff-rigged classics to complete the grueling Atlantic Challenge Cup, and in 2000 she was the darling of the Antigua Classic Regatta, winning her own division, the overall fleet and the "Boat International Concours d'Elegance" against such favorites as Endeavour, Mariette and Whitehawk. 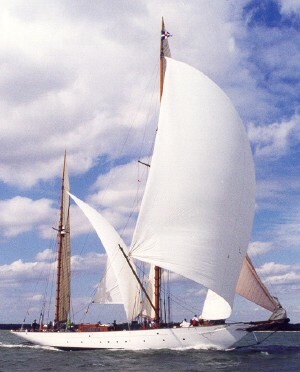 The following year she again showed her prowess with a first in the 2001 America's Cup jubilee of Cowes.